Sometimes summer decorating can be very simple and easy, and I have a project that will add the perfect summer glam to your home decor! 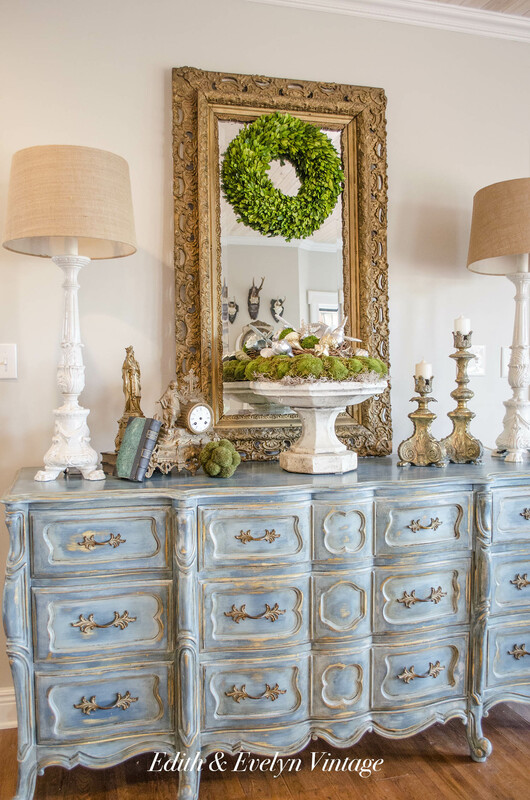 When it comes to seasonal decorating, I don’t want to spend a lot of time or money. Simple touches always work the best for me. For this project, I pulled out some of my seashells that I collected years ago when we lived on the Gulf Coast. 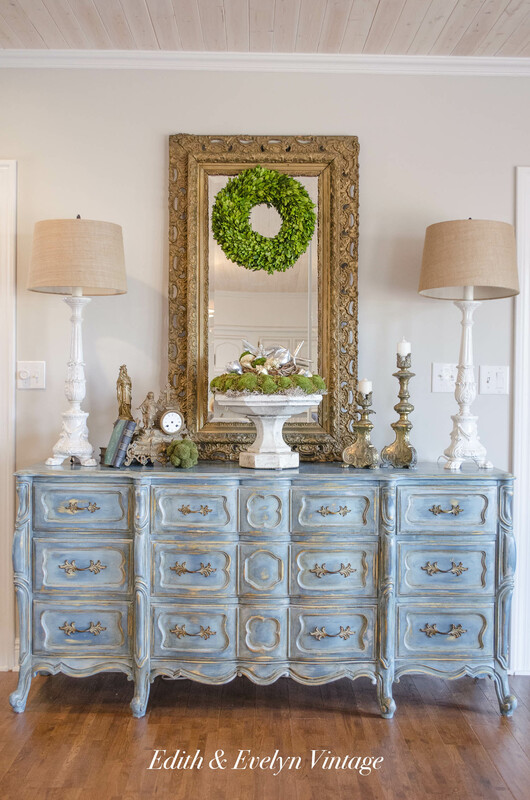 As I was placing them in a few displays, I kept thinking that they needed something that would tie them in with the old brass and gilt in some of my antique pieces. I had a couple of cans of spray paint in metallic silver and gold, so I placed a few shells on an old board and sprayed them to see if it was the look that I wanted. And it turned out to be exactly what I was looking for. It was so easy to do, probably one of the quickest and easiest projects I’ve ever done. 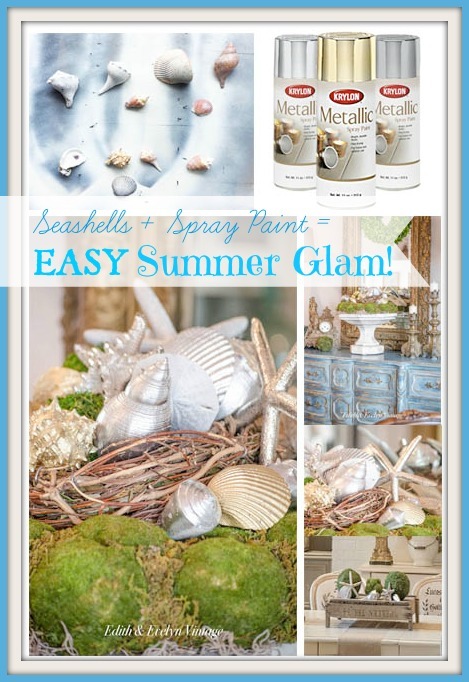 I just picked out some shells and sprayed them with the silver and gold metallic paint. After drying, I arranged them on some green moss in an old stone birdbath. This created instant summer glam without much effort! 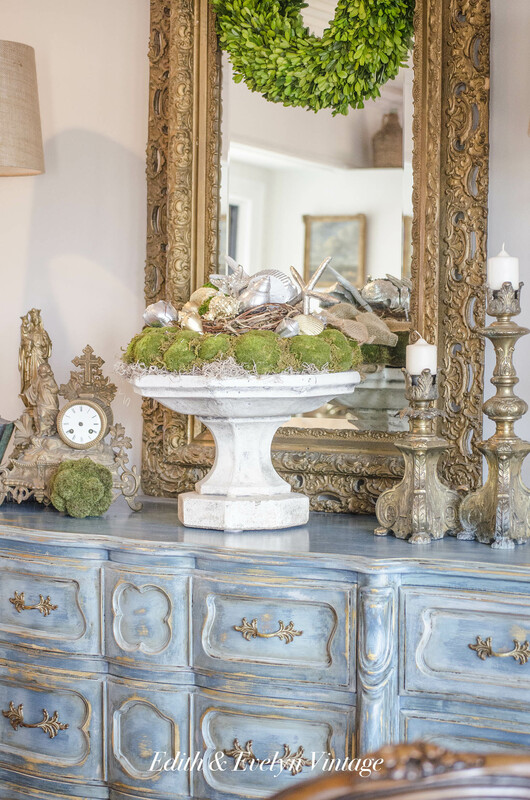 The metallic gold and silver seashells worked perfectly to tie in the aged gilt in some of the antique pieces in my decor. I used some in the dining room, just accenting the centerpiece that I already had in the center of the dining table. I also added a few to the antique French scale in the kitchen. 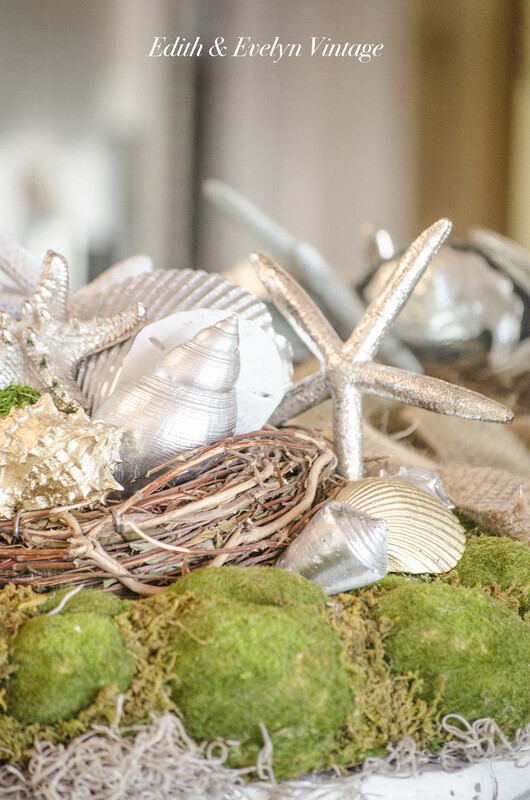 If you don’t have any seashells laying around, you can find inexpensive ones at the hobby and craft stores. 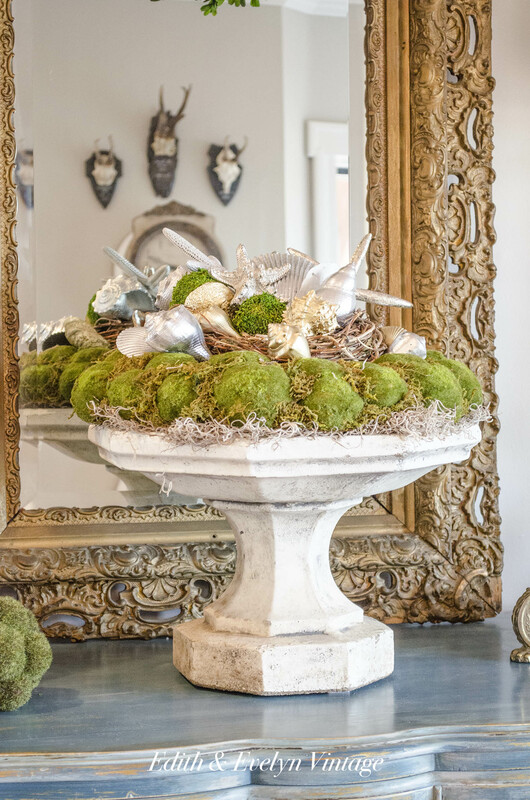 These glammed up seashells would be perfect for decorating a summer table, piled up in a bowl on the coffee table, or even lined up on a fireplace mantel. 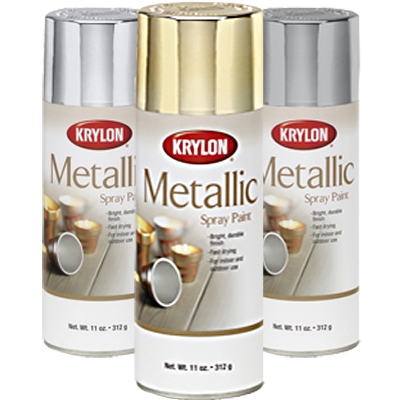 Something so simple can be given a very elegant feel with just a can of metallic spray paint! I live in Pawleys Island, SC and have used oyster cluster shells sprayed them silver and gold and glued a small pearl into the center of the oyster shells randomly. They make a simple oyster shell into a work of art for displaying incenterpieces or randomly in small woven bowls throughout the house. 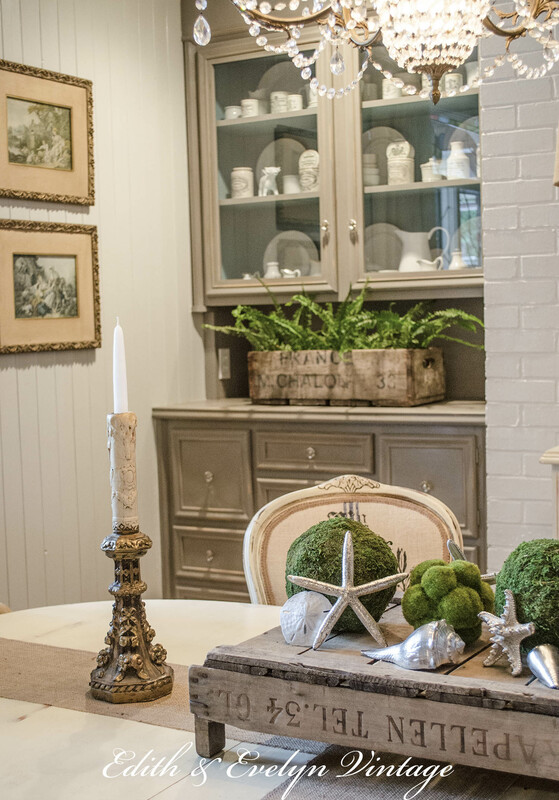 Living close to the beach but in a traditional home I still like a few touches of glam and soft touches of feminine French decor. 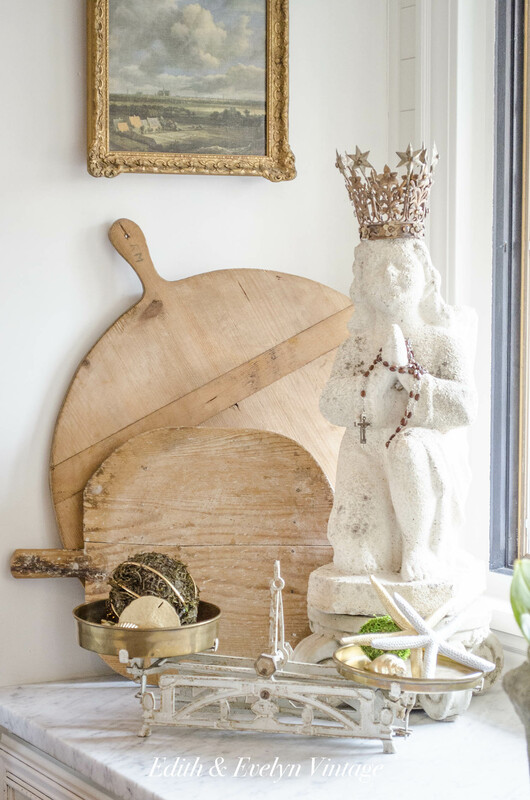 My love affair with angels and my quest for as a small French clock continue. I look at your home and it transports me!! What a wonderful idea, Deborah! Thank you so much for commenting! 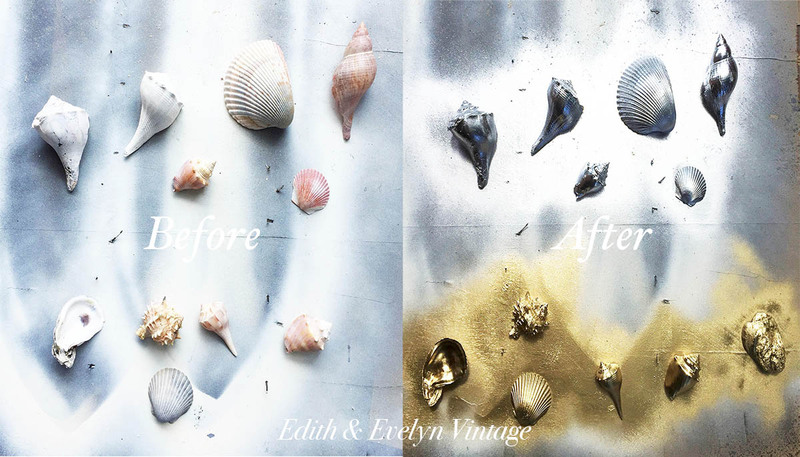 Love your idea for painting shells. It makes me wish I had picked up some of the shells I saw at estate sales this weekend. Couldn’t help but notice the pair of candle holders on your buffet. Susan from Menagerie originally bought them from me, and told me she sold them to you. So nice to see them “at home”. They look like a mermaid princess first wore them! Very clever indeed. I just the marble pedestal bowl you have and found a smaller one at Crate & Barrel. Using it on my foyer tableright now with shells in it. In the future I see it with lemons, limes & maybe red Christmas balls. Thanks for the idea. Thank you Pam! I love simple decorating by having great “base” pieces that I can just swap out the contents depending on the season or holiday. Glad you found something that will work for this! 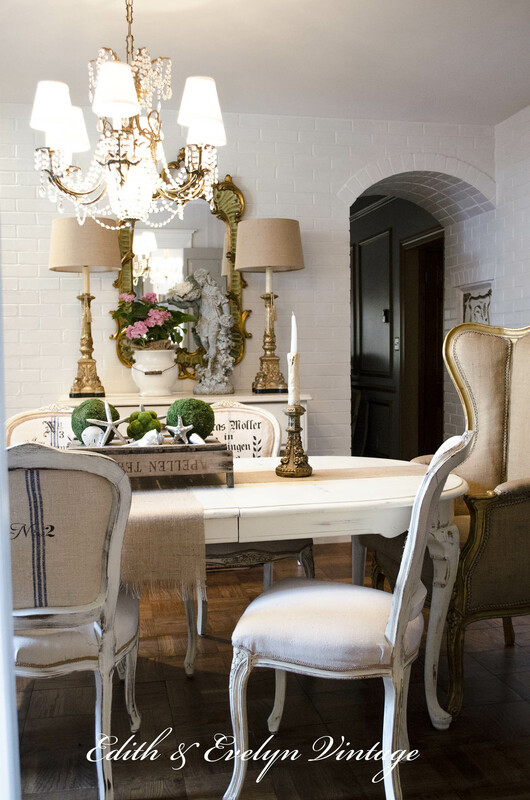 Oh, Cindy, this is absolutely stunning and elegant ~ the perfect combination of glam and glitz! Cindy, your shells (and everything you do) makes my heart skip a beat! These are so so stunning!!!! just beautiful, the metallics really bring them up a notch! What a nice look, Cindy! Now the stores will have a run on gold and silver paint…which reminds me…I wonder if they’ve restocked the little toy sheep yet? My Hobby Lobby had ONE. I just KNOW that some of your readers beat me to them. Lol, Judy! Maybe I should do something with cows! Congratulations on your new shop space, it looks amazing. Can’t wait to visit the next time we’re in Mobile! These are so pretty! I love the metallic spray paint! I have a couple of those cans in my craft room!! Thanks Susan! This was the first time I’ve used this paint, it worked perfectly. I will definitely be using it again on some other projects. Thank you Martina! Hope you’re doing well! As they say back in my home state (roll tide)…..I could lose a crop, just looking and reading about your wonderful work and beautiful home. So glad to have found this blog. Gray M.
Thank you Gray and ROLL TIDE! Thanks for following along! Love. I spray painted some shells silver last winter when we stayed on the gulf coast. 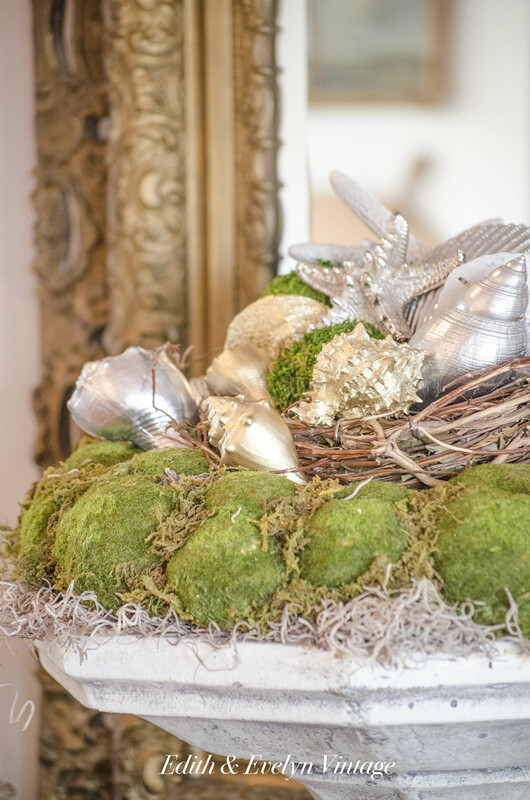 ove this ideas mixed with moss…beautiful because shells are always a definite. 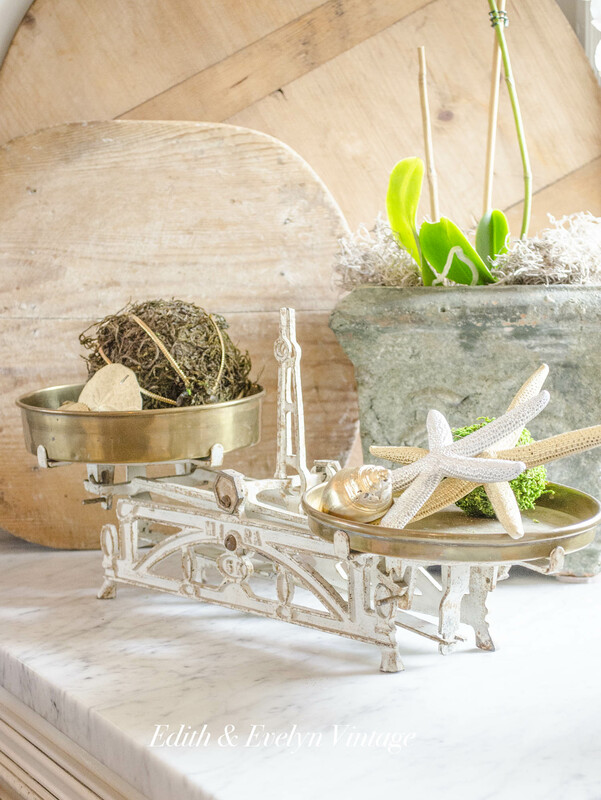 Not only do I love how you glommed up those shells and starfish, I am crushing over that amazing French scale!….you sure to know how to glam up a room so beautifully and creatively!! Thanks Shirley! Have a safe trip home from DC!